I worked with writer Elizabeth Rein. 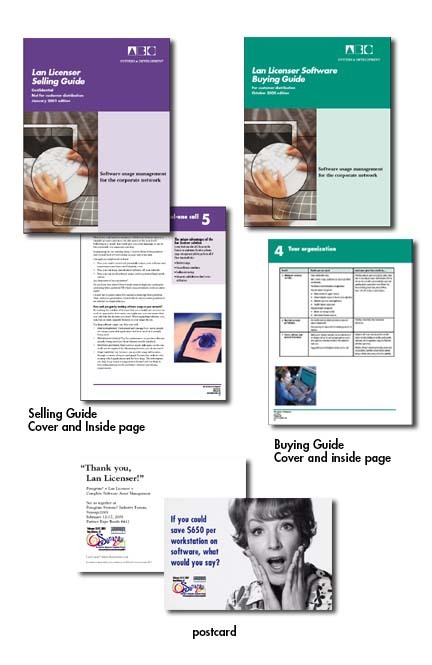 to develope a buying guide, a selling guide and this postcard for ABC systems and development. In addition to developing a pdf file, I also had to develop the guide in MS word, so it would be easy to change.